materials. It has a quick release locking lever design for fast bevel adjustments, and a large cutting capacity of 61 mm. 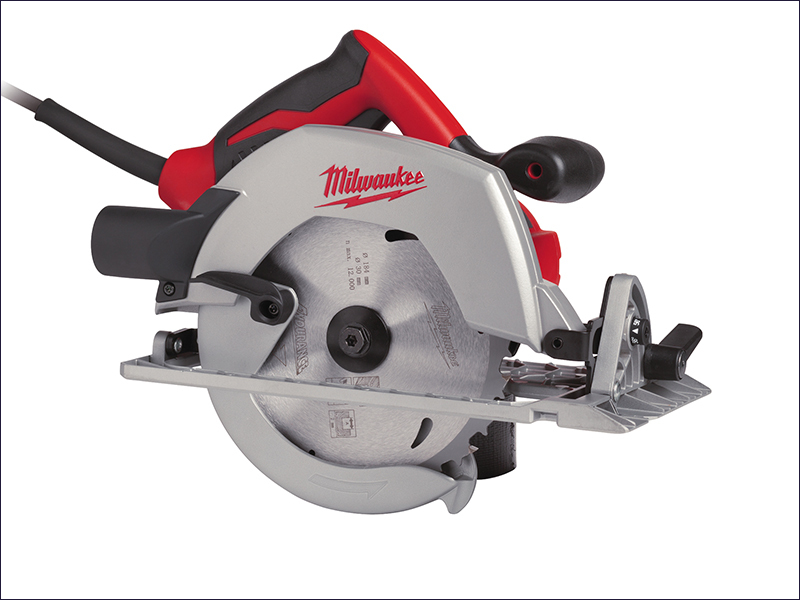 The circular saw has a large 0 - 56° bevel capacity and 45° positive stop. An integrated dust blower helps to keep the cut line clear and the large, ergonomic handles and levers give better control. A long side fence for straight cuts gives precise guidance. Blade: 184mm x 30mm bore.